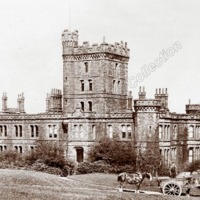 The Grade 1 listed building was built in 1865-69 by the philanthropist ‘Honest John’ Fielden, MP. 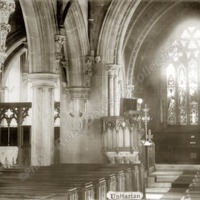 It is now in the care of the Historic Chapels Trust and is available for weddings and events. 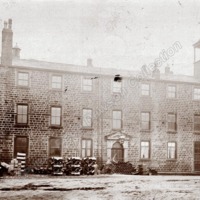 Originally a Fielden Bros warehouse, also used for offices and a factory school, it was later sold to Todmorden Council for use as a technical school and fire station. 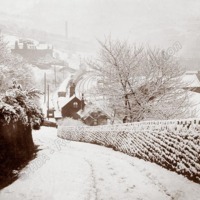 The railway crossing keeper's cottage is at the bottom of the lane. 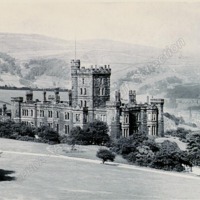 Taken in the 1920s. 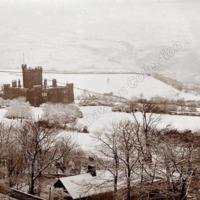 Fielden Bros warehouses are on the right with Rose Bank in the distance. 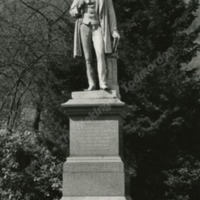 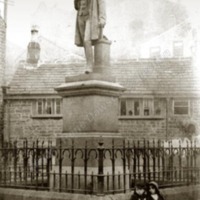 In memory of his activities, a statue was originally erected by Todmorden Town Hall in 1875. 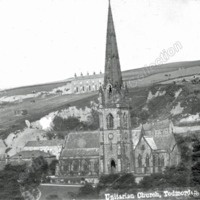 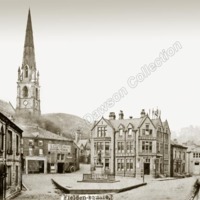 It was then moved to Fielden Square in 1890. 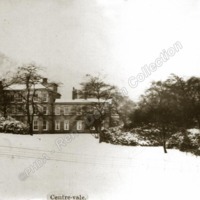 It was moved to its present location in Centre Vale Park in 1939.